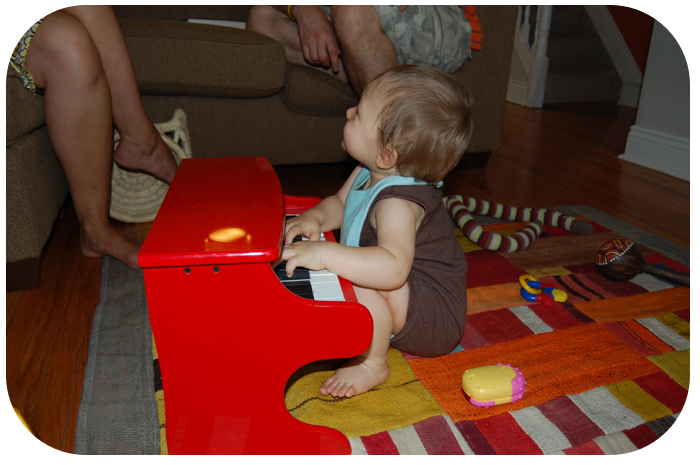 This past weekend Niko showed an interest in taking up piano by tickling the ivory every chance he got. Do we have a mini-Bach in the making? Judging from the sounds he pounded out on the keys, probably not. 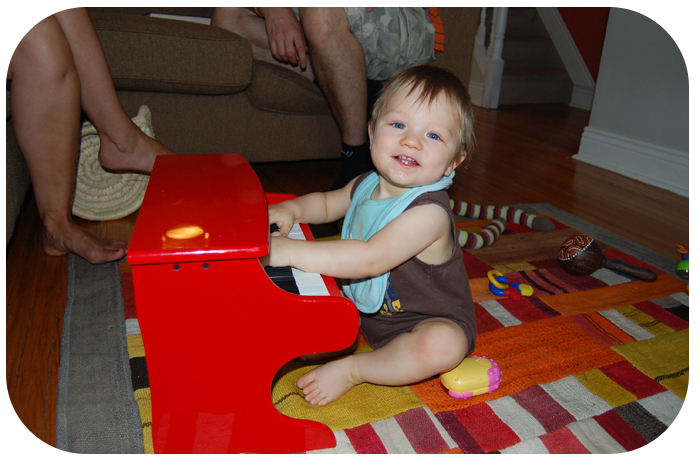 But did he have fun playing this pint sized piano? You betcha. I’ve written before about my take on noisy toys, and have taken the stance that they’re something to look forward to when we go to friends’ houses. It’s always interesting to see the collection of toys each little person has at their own house. I mean all the collections are different and it is something for the Little N Man to anticipate on his play dates. 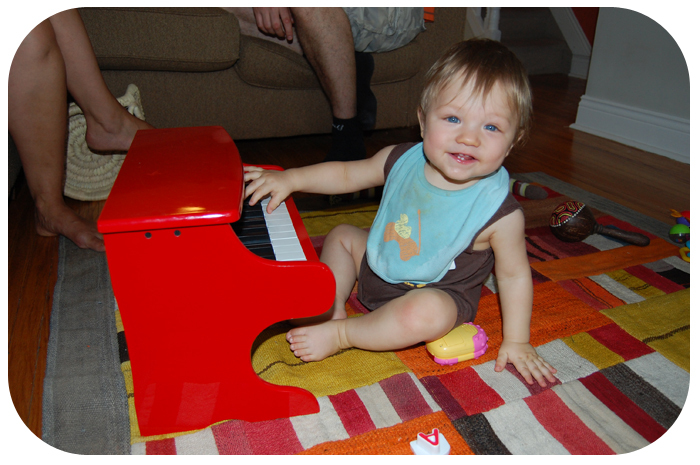 So yes, Niko had a ball playing on Ruby’s red piano. But are we going to get one for him? I don’t think so. PS – Note the little pink cell phone by Niko’s knee, which is in fact one of the only “noisy” toys we’ve ever bought for him. I guess he doesn’t want to miss any important calls, so he keeps it close.